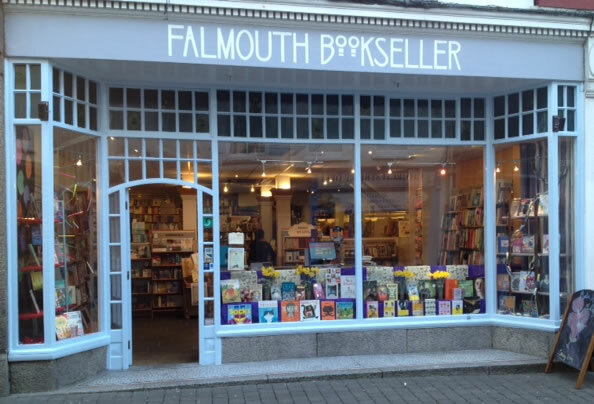 Falmouth Bookseller is one of the leading independent bookshops in the UK. Located in the heart of the busy working port of Falmouth in Cornwall. We are staffed by knowledgeable booksellers who enjoy nothing more than recommending great reads. We aim to cater for everyone, stocking a wide range of fiction, children’s and local interest titles. We host many vibrant and diverse book events throughout the year. In the house of Helios, god of the sun and mightiest of the Titans, a daughter is born. Circe is a strange child – not powerful and terrible, like her father, nor gorgeous and mercenary like her mother. Scorned and rejected, Circe grows up in the shadows, at home in neither the world of gods or mortals. But Circe has a dark power of her own: witchcraft. When her gift threatens the gods, she is banished to the island of Aiaia where she hones her occult craft, casting spells, gathering strange herbs and taming wild beasts. Yet a woman who stands alone will never be left in peace for long – and among her island's guests is an unexpected visitor: the mortal Odysseus, for whom Circe will risk everything.